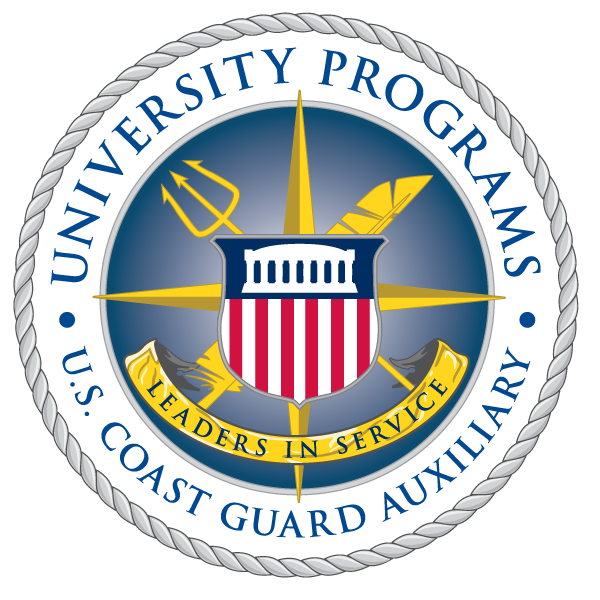 As Summer 2012 internships get underway, Nick Zaremba, AUP College of William and Mary class of 2012, shares his personal experience serving as an intern on summer assignment 2011 in the Coast Guard’s Office of Strategic Analysis. My summer as an intern at Coast Guard Headquarters in the Office of Strategic Analysis (CG-095) was nothing short of a major success, filled with experiences that are vital to my professional development. In only the second week of my internship, I was sent to the Evergreen Project Senior Grade Conference in Leesburg, VA. During this week, I participated in a focus group analyzing a specific operating environment of the Coast Guard 30 years in the future. We then developed needs based on this environment. After the conference, I continued to work with the Evergreen Core Team to take the needs from all of the groups and condense them into a strategic document. Pictured Left: Nick Zaremba (L) walks across William and Mary's campus to AUP graduation with fellow graduate Drew Domitrovits (R), 12 May 2012. To receive course credit for my internship, I crafted a research paper on the Coast Guard’s international efforts – specifically its role in West Africa. This research led me to an interview with a former ISPS officer as well as a trip to the Department of State. One of my highlights last summer during my internship was a meeting with VADM Sally Brice-O'Hara, the Vice Commandant of the Coast Guard. I joined the Auxiliary University Programs (AUP) Branch Chief and Deputy, sitting down with the Vice Commandant to discuss the status of AUP and its potential within the Coast Guard. I did a lot of work at Headquarters, but I was also able to have some fun being active. Every morning I worked through a cross fit workout with several officers which provided for an energizing start to each day. In addition, on some weekends, I was able to get underway for patrol and training with Flotilla Northern Virginia on the Potomac River. Pictured Right: Rear Admiral Peter Neffenger recognized Mr. Zaremba's service as an intern in the Coast Guard’s Office of Strategic Analysis, summer 2011. My summer internship experience was invaluable to my development as a professional as well as an auxiliary Coast Guardsman. My hope is for the program to continue for years to come and for AUP cadets to continue to take advantage of what the internship program has to offer. Mr. Zaremba graduated Auxiliary University Programs at The College of William and Mary with four of his shipmates on May 12, 2012. He will return to The College for one more semester, Fall 2012, to play his fourth year of Tribe football and to serve as a mentor to current AUP students.